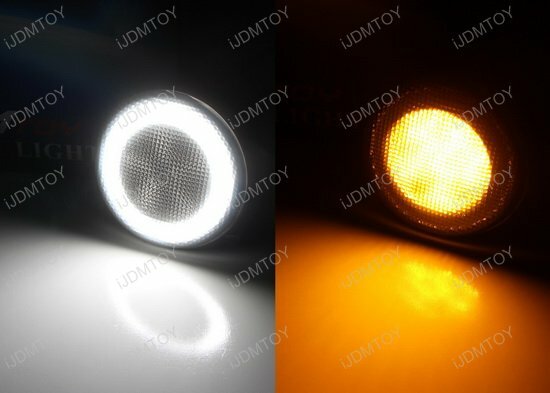 Q: What car will this LED DRL turn signal assembly fit in? 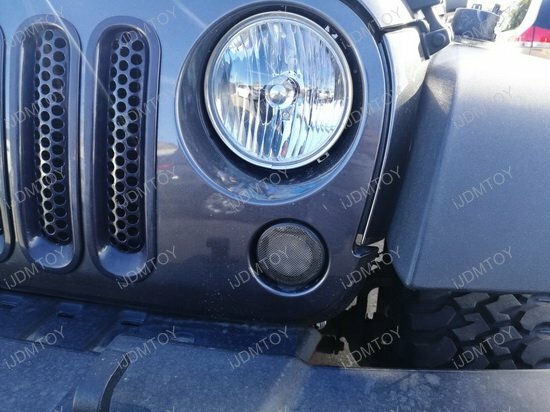 A: The smoked lens white/amber switchback LED daytime running turn signal lamps are made to fit the 2007-2017 Jeep Wrangler JK. 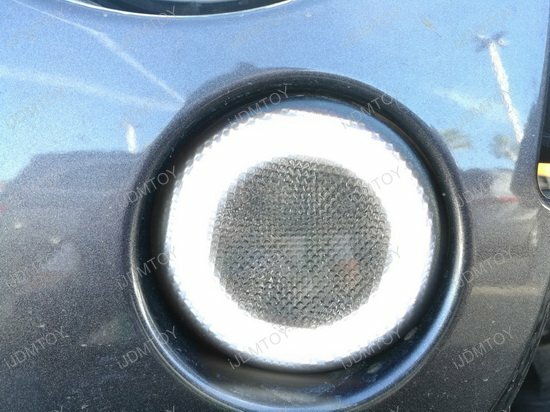 Q: What OEM part does this pair of LED halo ring DRLs replace? 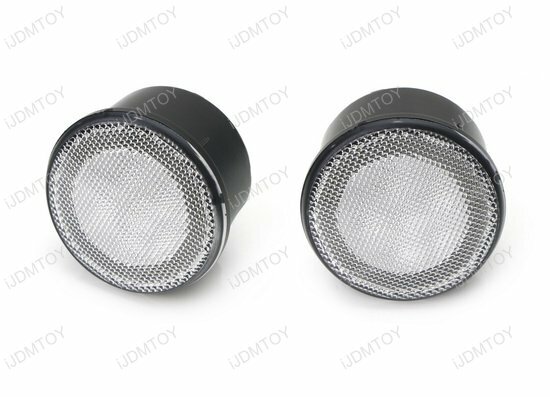 A: The OEM fit LED driving and turn signal lamp assembly replaces the OEM part numbers 68200291AA, 68200290AA, 55077884AD, and 55077885AD. 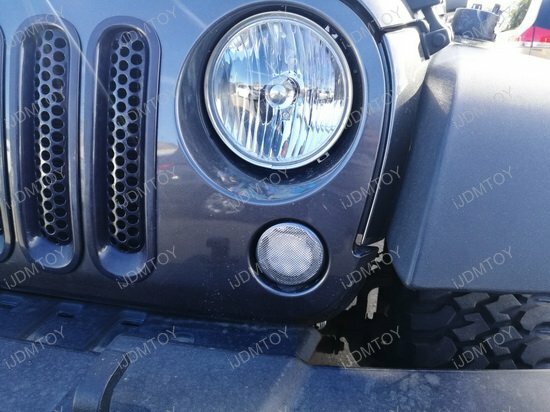 Q: How does the Jeep Wrangler LED DRL turn signal lamp set work? A: The xenon white LED light will run by default as daytime running lights or parking lights. When you turn on your turn signals, the LED halo rings will stay on and the center portion will flash in amber yellow until you complete your turn or merge. 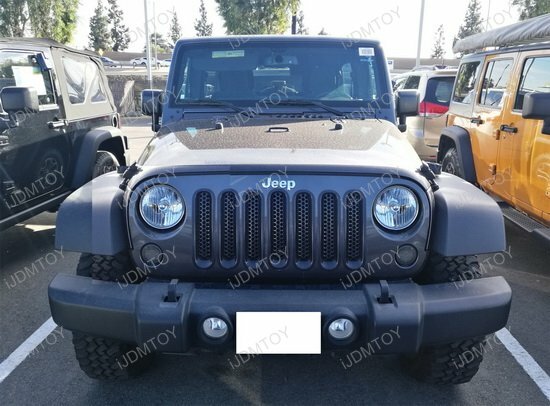 This page features a set of LED daytime running lights/turn signal lamps for the 2007-2017 Jeep Wrangler JK. 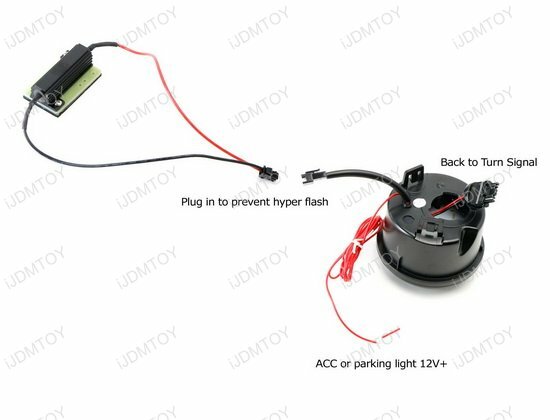 This LED assembly is powered by amber yellow genuine super bright LED for the turn signal function and xenon white LED halo rings for daytime running light function. Unlike conventional assemblies on the market, this LED DRL/turn signal assembly has a far superior turn signal function that is amazingly bright. 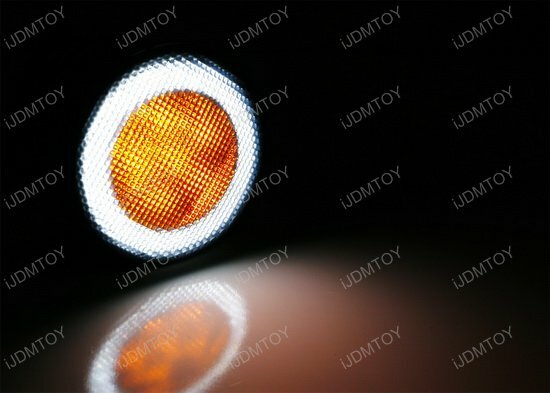 The xenon white LED halo rings will stay on while you use your amber yellow LED turn signals. 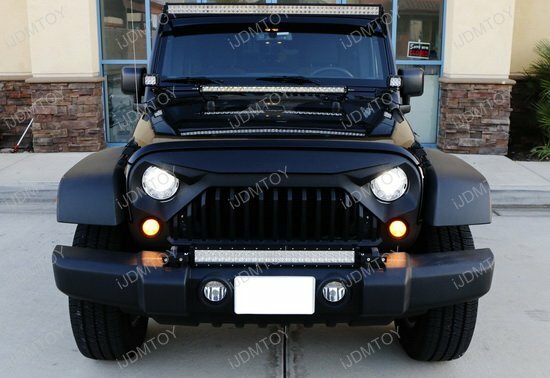 This LED assembly has a special vertical design inspired by the Wrangler guard bar for a genuine look. This kit also comes with resistors so you don't need to purchase additional resistors. Installed easy, work great, look good... 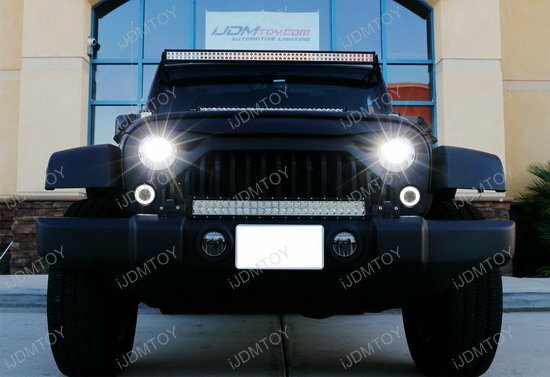 The LED halo ring DRL is pretty bright, but looks awesome and have yet to see anything like it on any other Jeep. After a lot of research I found out how to install these Jeep LED lights. 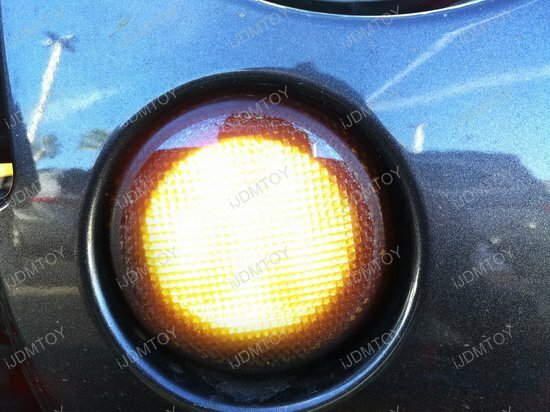 The LED halo ring DRLs and turn signal lights work. The smoked lens look good on my 2015 Jeep Wrangler JK. 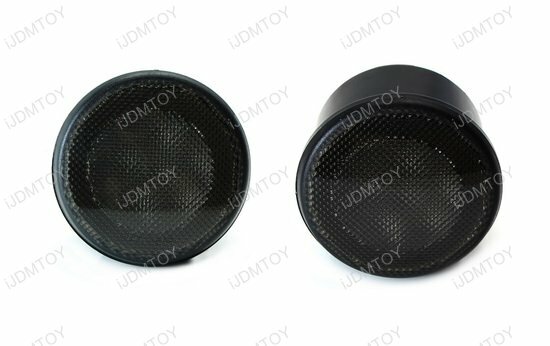 Awesome smoked lens LED lights. White LED ring looks great as well as the amber LED turn signals. Don't see them ever. Very unique. Easy to wire into the fuse box with a add on fuse.